"A joy to read—I couldn't get enough." "This novel practically thumps with heartache and sharp humor." An exuberant and wise multigenerational debut novel about the complicated lives and loves of people working in everyone’s favorite Chinese restaurant. Owner Jimmy Han hopes to leave his late father’s homespun establishment for a fancier one. Jimmy’s older brother, Johnny, and Johnny’s daughter, Annie, ache to return to a time before a father’s absence and a teenager’s silence pushed them apart. Nan and Ah-Jack, longtime Duck House employees, are tempted to turn their thirty-year friendship into something else, even as Nan’s son, Pat, struggles to stay out of trouble. And when Pat and Annie, caught in a mix of youthful lust and boredom, find themselves in a dangerous game that implicates them in the Duck House tragedy, their families must decide how much they are willing to sacrifice to help their children. Generous in spirit, unaffected in its intelligence, multi-voiced, poignant, and darkly funny, Number One Chinese Restaurant looks beyond red tablecloths and silkscreen murals to share an unforgettable story about youth and aging, parents and children, and all the ways that our families destroy us while also keeping us grounded and alive. Lillian Li received her BA from Princeton and her MFA from the University of Michigan. She is the recipient of a Hopwood Award in Short Fiction, as well as Glimmer Train’s New Writer Award. Her work has been featured in Guernica, Granta, and Jezebel. She is from the D.C. metro area and lives in Ann Arbor, Michigan. Number One Chinese Restaurant is her first novel. 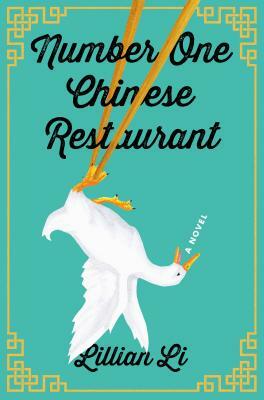 "So expertly does first-time novelist Lillian Li conjure the Beijing Duck House, a gaudy, tatterdemalion restaurant in Rockville, Md., that readers of Number One Chinese Restaurant can almost taste its signature dish and feel the heat of its woks. . . . By turns darkly funny and heartbreaking." "A deliciously comic debut novel about secrets, scandal, and the patriotism at the heart of the hustle." "Evocative. . . . Li's novel revolves around the tangled inner workings of the family-owned Beijing Duck House . . . Chinese-born family members and workers [for whom] the Beijing Duck House has displaced Beijing itself as 'the heart-center of the universe.' . . . [Li's writing] engrosses." "Li shines in portraying lives shaped by work in this service industry . . . [rewarding] readers with a compelling family story about love, work, and what it means to serve." "Fantastic. . . . Reminiscent of a prime time drama that you can't stop watching." "[A] crackling debut. . . . Li's talent for human tragicomedy grows more evident by the page." "[Li] never loses control of this tight, well-paced story, delivering tragedy, dark humor, and even a few surprises by the end." "A wonderfully honest portrait of what it takes to make it in America." "Blends delicious writing with intricate family dynamics, the perfect recipe for a page-turner to devour in the summer sun." "A smart combination of Chinese-American life, service industry travails, and the ups and downs of belonging to a family, Number One Chinese Restaurant will make great discussion fare for book clubs." "Darkly hilarious. . . . Number One Chinese Restaurant is anything but typical, as Li combines broiling anger and slow-simmering love in delicious proportions." "A vibrant multi-generational debut. . . . This engrossing novel reads like a highly entertaining soap opera." "Evoking every detail of [this restaurant] with riveting verisimilitude . . . Li's sense of the human comedy and of the aspirations burning in each human heart puts a philosophical spin on the losses of her characters. . . . A writer to watch." "Li expertly crafts a deeply felt and beautifully evoked multigenerational novel. . . . Heartful, tender, necessary, and wise." "Li has crafted complex and nuanced characters . . . bringing depth and shape to the lives of those often found behind the scenes." “A heady read of parents and children, youth and aging, and above all what it means to be family and how far we are willing to go to give it all up." "Li taps into the universal tensions of generational conflict with a light, humane touch. . . . [A] deeply affecting, intricately detailed work."